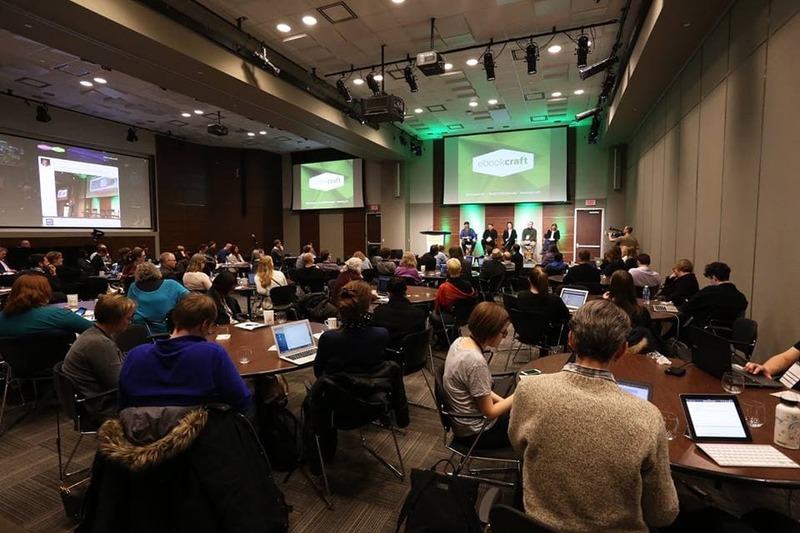 Held over a 2-day span in March in Toronto, eBookcraft is one of the last two remaining digital conferences in North American related to book publishing. Earlier this week they posted several videos of conference presentations. It's not the same as being there in person, but it's better than a soda can full of bees. You can find the videos via the following links. I have only had a chance to watch several, and I can recommend several. The video on DRM is a good overview of the topic, and presentation on how web companies are addressing the problem of intermittent access was also informative. Under a Google Impact Challenge Award from Google’s charitable foundation, Google.org, DAISY has been building a ground-breaking accessibility certification process based on the new IDPF EPUB Accessibility 1.0 Specification. To support this process, Benetech launched a pilot program that involved working closely with publishers and conversion vendors to evaluate the accessibility of their content. Over the past year, the world’s leading browsers have added features enabling web applications and publications to “phase shift” between online and offline states. Surrounding these new features is a growing set of communities broadly coalescing around the term “offline-first.” In this talk, we take a look at some of the key bits of technology being used by these new phase-shifting applications, as well as how the W3C’s Digital Publishing Interest Group is exploring these (and other ideas) for possible use in Portable Web Publications. Automating ebook production can seem daunting, but there are a lot of tools already out there that can help you along. If you don’t try to build a rigid, everlasting, and unbreakable automated toolchain, but instead think about the points of change and build around them, then the task of automating becomes much less scary. Get a first-hand look at a successful case study and get some practical guidance for building functions that work smoothly and meet user needs. So you’ve mastered ebook development—now what? With the field of e-production in transition, there is both uncertainty and the potential for exciting new opportunities for ebook designers and developers. What possibilities exist in the world outside of digital publishing for eprdctn professionals? And how can other fields instruct and influence ebook development? Ebook pros who have navigated these transitions themselves will take to the stage to discuss experiences, wisdom, and challenges for the future. Discussions between libraries and publishers often focus on costs and licensing while little is said about ebooks as an effective vehicle for content. Ebook satisfaction and evaluation surveys abound in libraryland but considerations specific to the ebook format have yet to be addressed in our collection management policies. Which isn’t to say we’re not talking amongst ourselves. So how do we feel? How do our patrons feel? What is our stake in ebook production? Digital Rights Management (DRM) isn’t the elephant in the room; it’s the monster under the bed. We are afraid of it, and we hate it, but how much do we know about it? Let’s get our flashlights, look under the bed, and learn how it all works by watching an actual EPUB be encrypted! Knowing a bit about DRM will help our colleagues and customers better understand what might (or might not) happen to their books, and to make better decisions about such matters. Learn how to develop a practical roadmap for creating accessible ebooks that’s customized to the unique considerations of your press and workflow, including staff size, number of books, complexity of books, and technological expertise. You will not only take away concrete steps for moving forward, but also a sense of where we stand as an industry in our work toward publishing “born-accessible” digital content. An exploration of the past, present, and future evolution of ebook reading applications and how that impacts and informs the art and craft of creating ebooks.